One of the most obnoxious things about long hair is that it dries out easily so you can't wash it all the time. And when you can't wash it all the time you want to keep it off your face so it doesn't get greasy. And if it gets greasy you want to hold it back off your face during your workout.... OY VEY! 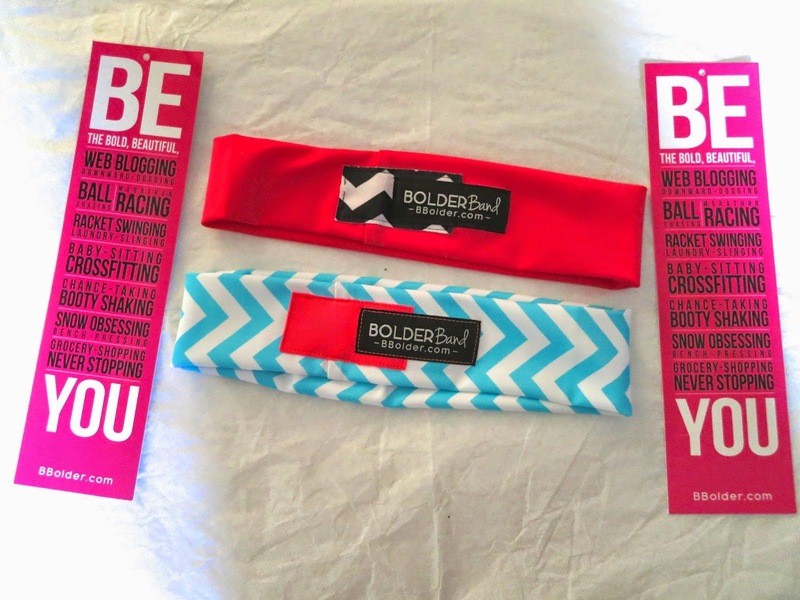 Well, now I've become bolder with my exercise and my haircare routines thanks to Bolder Bands! Bolder Bands come in all different colors and patterns. There's so many to choose from and you can even coordinate them with your outfit! The best thing is that these are versatile. You can wear them for different reasons. 1. To keep your hair out of your face when exercising. Not only will you look cute but you'll feel better while working out. 2. To hide unwashed hair. I go a day or 2 between washings so this is great for covering up my greasy bangs! 3. As an everyday hair accessory. Not only are they adorable but you are guaranteed to find a match for your favorite outfits! These elastic headbands are easily washable when they get dirty. and it's valid from 6/15-7/15! One lucky winner will get the chevron Bolder Band! They are all so cute! I like the purple, jade, and shamrock green. I love the black or (of course) pink chevron!